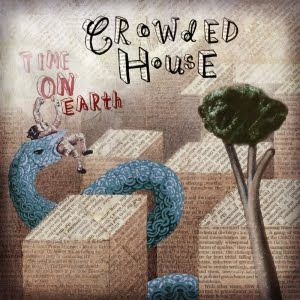 Discussions Magazine Music Blog: CROWDED HOUSE: The DELUXE EDITIONS review! SPAZ reviews the recorded legacy of Neil Finn & Co.
And now, about the DELUXE 2CD EDITIONS… All of them include new expanded packaging with informative booklet and a bonus CD containing an abundance of previously unreleased recordings and non-album tracks. I’m not going to go into depth about the bonus material apart from telling you here and now that every disc is essential. To hear working demos, early versions, rough mixes and previously unreleased songs is mind-blowing, especially if you’ve been a fan since the beginning. 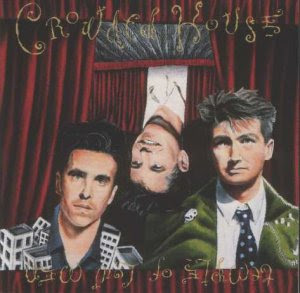 CROWDED HOUSE (1986): Neil Finn stripped away the excesses of the Enz’s full sound and approached songwriting differently on this debut from the trio. Still retaining a knack for writing a great melody, Finn’s songs and performances felt more emotional than his work with the Enz. Perhaps finally allowing himself to take charge of his music, Neil is far more confident on this set of songs. A lot must be said of Mitchell Froom’s production – tight, warm and inviting. 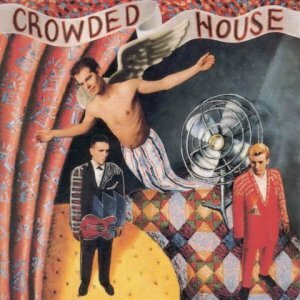 Sounding more like an American band than anything Finn-related before or since, Crowded House’s stripped down sound was fresh and invigorating in 1986… and sounds remarkably timeless today. “Something So Strong,” “Now We’re Getting Somewhere,” “World Where You Live,” and the gloriously beautiful “Don’t Dream It’s Over” were songs that became the foundation of a career that reached far beyond the global popularity that the Enz once strived for. Speaking of the Enz, the album includes a re-recording of “I Walk Away,” a song from their under-appreciated SEE YA ROUND album. 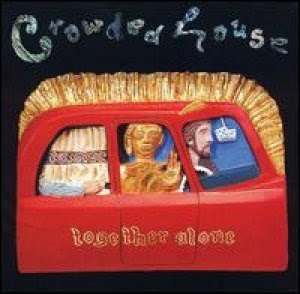 CROWDED HOUSE was not all fun and games, though. There are moments of sadness - “Hole In The River” being one of them – that help balance the mood of the album. And the band proves that they can rock out on “Love You ‘til The Day I Day”. The remaster here sounds clear and warm. The bonus disc is filled with 17 tracks including non-album cuts, demos and live and studio oddities. A brilliant package that follows the band from its infancy up through the debut album. TEMPLE OF LOW MEN (1988): The previous album’s joy was apparent on first listen – you could feel the excitement oozing out of the grooves. Strangely enough, this sophomore effort takes a detour and heads into darker territory. Still filled with the same melodic charm of the first album, TEMPLE OF LOW MEN seems to be a subconscious retaliation against the goofiness that the band was known for in videos and on stage. Deeper, more meaningful and perhaps a direct result of the pressures of fame (second time around for Neil), TOLM is an achingly beautiful album that is far more atmospheric than the jovial CROWDED HOUSE. While that debut was a treat, TOLM is built on layers of melody and emotion. More tellingly, this was the first full album that revealed that Neil Finn had picked up the melodic, heartfelt Pop smarts that Paul McCartney dropped in the early ‘80s. Yes, Neil Finn’s songwriting chops were that good. Not many artists can crank out a standard rocker like “Kill Eye” and make it soar. Then what about “Never Be The Same,” “When You Come,” “I Feel Possessed,” “Into Temptation” and “Better Be Home Soon”? Glorious melodies mixed with just the right hint of melancholy and thoughtfulness. “Sister Madly” recalls the joy of the first album but the rest of TOLM took the band to the next level. So much for the sophomore slump! The bonus disc is filled with 21 tracks including non-album cuts, demos and live and studio oddities. And yes, it includes the ByrdHouse tracks recorded live with Roger McGuinn. WOODFACE (1991): Combining the best elements of their first two albums, WOODFACE is a triumph on every level. The genesis of the album began with a batch of demos that Neil recorded with his brother Tim for a proposed Finn Brothers album. Instead of halting the momentum that CH had been building, the decision was made to add Tim to the band’s line-up (Neil returning the favor that changed his life?) and record those songs that they had been working on. It’s fair to say that that was a brilliant idea, on par with that one guy who created heaven and earth. While not every track is a home run (the seemingly anti-American “Chocolate Cake” was a poor choice as a first single and lead track), WOODFACE should be considered one of the finest straightforward Pop albums released in a post-Beatles world. Tim and Neil have always sounded great together and to hear them carry on that sibling tradition in Neil’s band is quite emotional. “Four Seasons In One Day,” “She Goes On,” “It’s Only Natural,”, “There Goes God,” “As Sure As I Am”… the list goes on. And I didn’t even mention “Weather With You,” their huge European hit and a definite fan favorite. Mitchell Froom, who twiddled the knobs on the first two albums, works his magic here as well. WOODFACE didn’t raise their profile much in the U.S., which is unforgiveable. Seriously, I’ll never forgive America for not making this album the biggest selling release of 1991. That’s almost as bad as voting Trump into office! 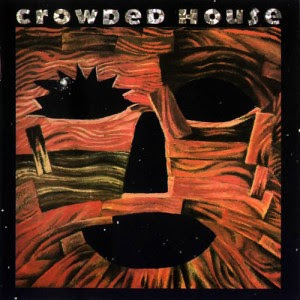 If you only buy one Crowded House album, WOODFACE would be your best bet. It is not only their finest moment, it is also one of the greatest albums of the ‘90s. The bonus CD includes those precious Finn Brothers demos, studio outtakes and demos and more. Absolutely ESSENTIAL! TOGETHER ALONE (1993): Sad and somber, TOGETHER ALONE seems more of a sequel to TOLM than a direct follow-up to WOODFACE. With Tim leaving the band during the tour for WOODFACE and the addition of keyboardist Mark Hart to the line-up, it seems as if the band chose to shake things up altogether and brought in British producer Youth to handle the production. Recorded in New Zealand far away from the temptations of city life, TOGETHER ALONE is a lovely album indeed. If the term ‘Ethereal Rock’ has not been invented yet, then I’ll volunteer to tag this release as the first Ethereal Rock album ever. Moody, sulking and filled to the brim with life-affirming melodies, this is an album that stands apart from the three previous albums but also fits comfortably right next to them. Though sonically different from TOLM, it still travels down the same dark road, unafraid to be beautiful and slightly scary at the same time. “Kare Kare,” “Fingers Of Love,” and “Private Universe” are haunting, as is the lovely “Walking On The Spot”. However, the band does manage to kick up some dirt with songs like “Locked Out,” “Black And White Boy” and “In My Command.” They also return to the Pop sound of old with “Distant Sun” and “Pineapple Head.” Though the band sounds more subdued, TOGETHER ALONE sound like an album created by a band still filled with creativity, talent and ambition. Sadly, original drummer Paul Hester quit the band and CH replaced him with a touring drummer (Peter Jones). They decided to call it quits before they were able to record album #5. The bonus disc here includes demos plus live and studio oddities. P.S. The album does feature appearances by former Enz members Eddie Rayner (who played live with CH in the early days), Noel Crombie and Tim Finn. AFTERGLOW (1999): Released for the fans that were devastated by their break-up, AFTERGLOW features a handful of non-album b-sides plus previously unreleased tracks that never made the albums. While all of them are definitely worthwhile, the ‘mood’ of the album is not consistent. But that isn’t the point, is it? As a collection of rarities, it is a wonderful addition to any collection. “Anyone Can Tell” and “Recurring Dream” are worth the price of AFTERGLOW alone. And let’s be honest, even a track that the band deemed unworthy of an album release at the time is far more superior to some artists’ entire catalogs! The bonus disc does feature the three ‘new’ tracks that were included on the RECURRING DREAM collection (1996): “Instinct,” “Everything Is Good For You,” and “Not The Girl You Think You Are,” which sounds like a WHITE ALBUM outtake. 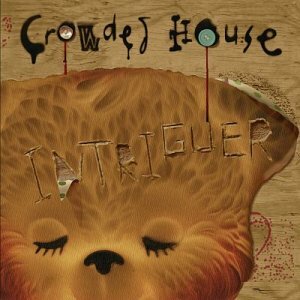 INTRIGUER (2010): INTRIGUER is an entirely different beast than TIME ON EARTH. More confident, experimental and musically rich, INTRIGUER is an album that shows Finn moving forward and not attempting to relive the CH days of old. 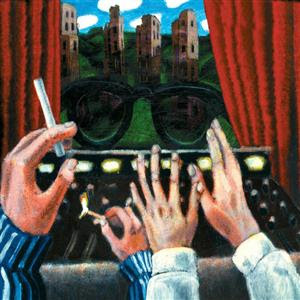 In fact, there are very few moments on this album that recall the band’s salad days. The album feels fresh and exciting although Finn’s catchy melodies no longer recall his influences. Neil Finn seems to be comfortable being Neil Finn, an artist unafraid to change things up whenever the hell he feels like it. INTRIGUER is an album that doesn’t sound like a nostalgic money-grab – this is a band moving forward. “Saturday Sun,” “Archer’s Arrows,” “Either Side Of The World,” and especially “Twice If You’re Lucky” are just as good as anything the band has recorded in their catalog. The album may be too different for some fans, but we must allow our favorite artists to grow and create the music they want to create. Otherwise, they just end up going through the motions… and I don’t think Neil Finn plans to be doing that any time soon. The bonus disc is filled with live, demo and previously unreleased recordings. 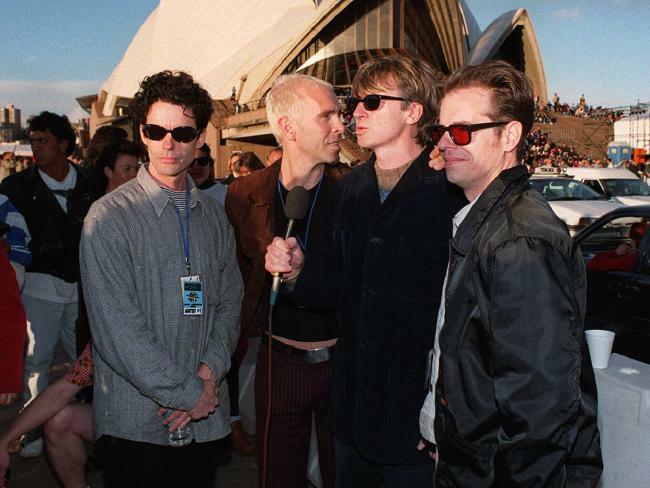 Crowded House’s recent shows in Australia are said to be their last but I sure hope Neil changes his mind. Or maybe he should just get the Enz back together and play somewhere close to me in Orange County, California. Or do a Finn Brothers tour. Or record another solo album. Or…..